During the Upheaval, city after city fell to the Enillo Virus, filling the streets with ravenous ghouls. Not even the countryside was spared, as millions of the undead flowed over the land. From the mountains of Appalachia to the beaches of the Atlantic, the East Coast was dead. Two groups must enter this nightmare. On one side is John Talon and his small crew, desperate to secure the foundation of a new country. On the other side is Major Thorton, bent on the destruction of the soul of the nation. 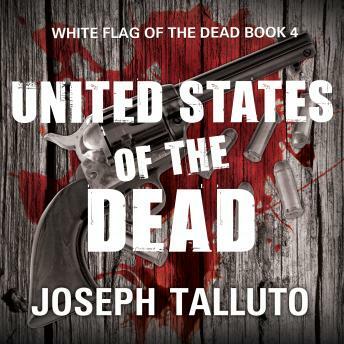 In a race for the country, John must use all of his skill, determination, and resources to make sure the country does not forever stay the United States of the Dead.